At 1812 hours Dauphin County Box 47-8 sent companies to the 400 block of Pleasantview Road in South Hanover Township for a house. Multiple calls were being received and Chief 47 quickly reported a working fire. The first alarm assignment with two additional were requested. 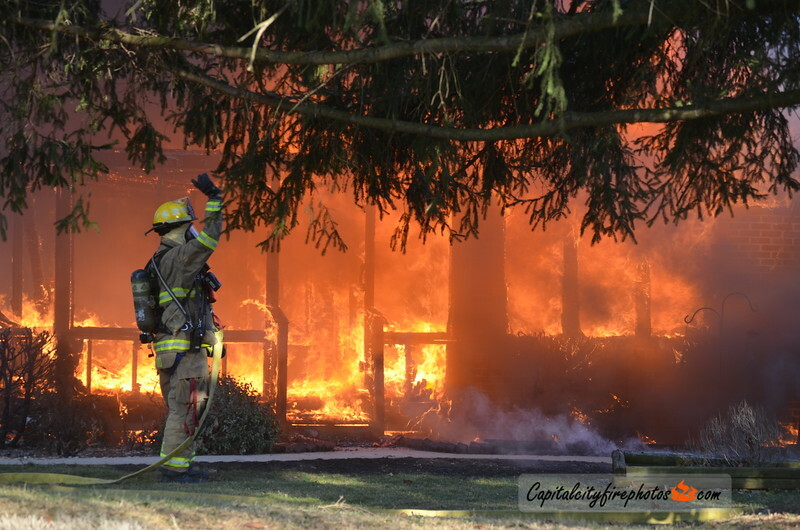 Truck 46 (Hummelstown) arrived with heavy fire showing from the rear of a one-story, ranch style, dwelling and stretched a handline to the side B/C corner. The bulk of the fire was knocked down in about 10 minutes with extension in the common loft. Companies were evacuated due to an unstable structure. Truck companies opened up the roof and hand lines in the rear mopped up the remaining fire. Primary search was negative. The fire was placed under control in about an hour with extensive overhaul.